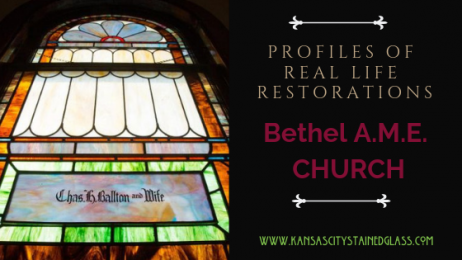 Stained Glass Restoration Profiles: Bethel A.M.E. 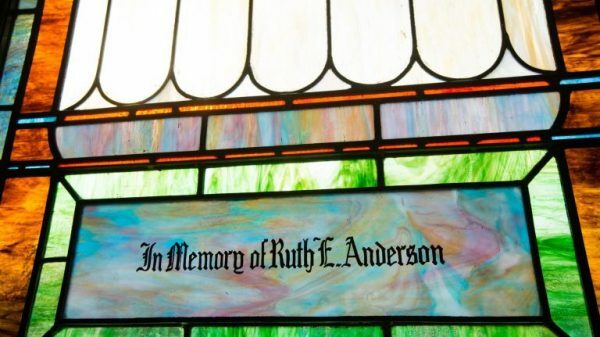 While it is true that often times Church stained glass restoration can be an expensive undergoing, it is also so very important to note that it is critical to the history of American churches of any denomination and more importantly is a key way to breathe new life into congregations. Beyond that, it is simply a joy to parishioners. So, for churches here in Kansas City but also anywhere in the US, stained glass restoration should be a very real consideration for any sized stained glass window in styles from simple to intricate. A perfect example of how wonderful stained glass restoration is for churches and their members is clearly illustrated by the sanctuary restoration of Bethel A.M.E. Church, located in Huntington in NY. This stunning historic church has the distinction of being Huntington, NY’s oldest African American church and that distinction carries with it deep historical and sentimental significance– both for the area and for the African American community. The project ended up costing right around $50,000 and took about two years. However, as the parishioners found out, it carried such deep meaning and they truly felt like they had contributed to preserving more than just their windows but their culture too. In the end, they got the windows they loved back to being beautiful while at the same time homage to those bygone parishioners that put so much into founding church and the original stained glass windows. As you can see from the pictures, the stained glass windows in the sanctuary at Bethel A.M.E. were simple but incredibly lovely! They also were true to the style of the era in which they were installed back–1924. Over the years the condition of these once lovely stained glass windows had simply deteriorated so, in 2016, Rev Larry D Jennings made a decision to rescue them from their broken down condition, not only because the window really needed it but because he and his church body saw the historical, culture and artistic value of them. I was also, as they saw things, a good way to respect the church members of the past who likely sacrifice for them to be installed. Stained glass restoration can be an expensive endeavor and as such, finding funds can be a challenge. But as Bethel A.M.E discovered–not impossible and well worth it. In their case, a town historian, Robert Hughes found grants from the Robert David Lion Gardiner Foundation for $20,000, them the Sacred Sites program of the New York Landmarks Conservancy for $10,000; and finally The Gerry Charitable Trust for $5,000. The remaining costs were covered by the eager congregation donating money themselves and the breathtaking results could not be more inspiring. 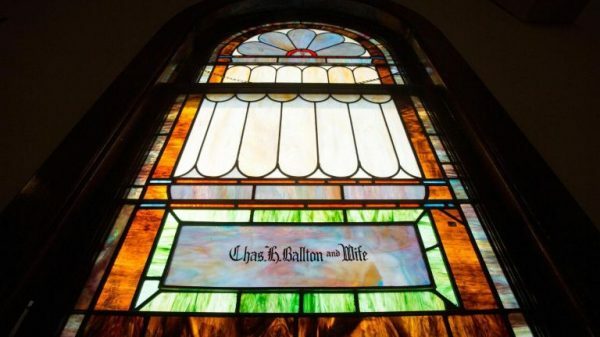 If you have a church here in Kansas City with old stained glass windows you and your church members just love, maybe it is time to consider having them restored as a way to breath new life into them and your congregation. Here at Kansas City Stained Glass, we will guide you through the process, costs and even fundraising for stained glass restoration too. Contact us today for more information and for a free consultation/stained glass inspection.